The concept that cells, once terminally differentiated, were fixed in their cell fate had long been believed in the field of developmental biology. Dr. Yamanaka and colleagues challenged this dogma and demonstrated that transduction of the four transcription factors, Oct4, Sox2, Klf4, and c-Myc, can reprogram mouse fibroblasts into a pluripotent state. In spite of tremendous efforts, successful reprogramming of fibroblasts into cardiomyocytes eluded the field for several decades. As cardiomyocytes have little regenerative capacity following heart damage, new cardiac regenerative therapy using reprogramming technology was demanded. 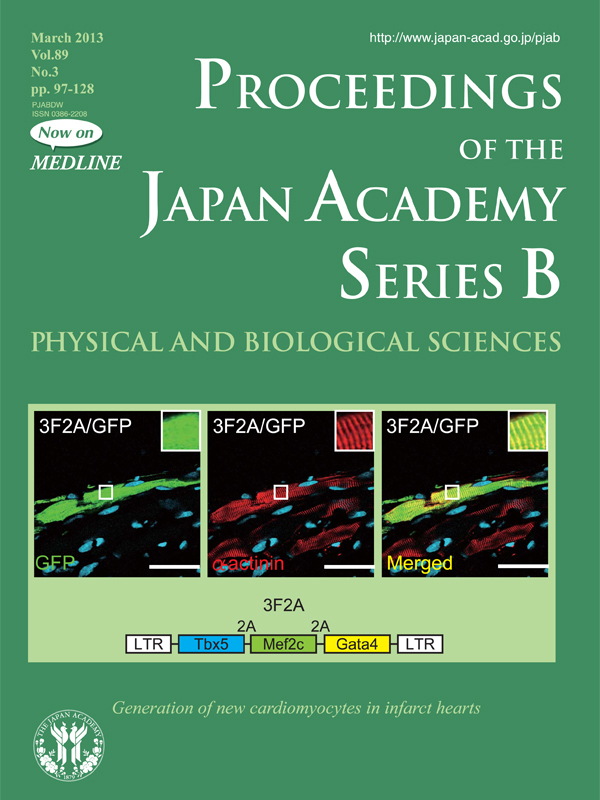 In 2010, Dr. Ieda and colleagues discovered that a combination of three cardiac-specific transcription factors, Gata4, Mef2c, and Tbx5 (GMT), were able to convert mouse fibroblasts to cardiomyocyte-like cells in vitro (Ieda et al., Cell, 2010). The induced cardiomyocytes expressed several cardiac specific genes and had sarcomeric structures. The global gene expression profile and some epigenetic status of the cells were similar to neonatal cardiomyocytes, but different from original fibroblasts. 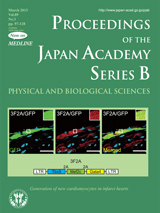 Moreover, a subset of induced cardiomyocytes contracted spontaneously, and exhibited functional characteristic of cardiomyocytes in culture. Following their report, several other groups also reported cardiac reprogramming from fibroblasts based on the same factors. Based on the findings of direct cardiac reprogramming in vitro, Dr. Ieda and colleagues investigated whether gene transfer of GMT into mouse infarct hearts could similarly convert endogenous cardiac fibroblasts into new cardiomyocytes (Inagawa et al., Circulation Research, 2012). To transduce GMT more efficiently in vivo, they developed a new polycistronic retrovirus vector expressing GMT separated by 2A “self-cleaving” peptides (3F2A). In vivo gene transfer of 3F2A into mouse infarct hearts generated new cardiomyocyte-like cells in fibrotic tissues, which expressed several cardiac-specific genes and had clear sarcomeric structures (Figure). The findings may inform a new regenerative strategy, which is direct reprogramming of endogenous fibroblasts into cardiomyocytes, to repair injured hearts. Reproduced with permission, from Inagawa et al., 2012, Circulation Research.